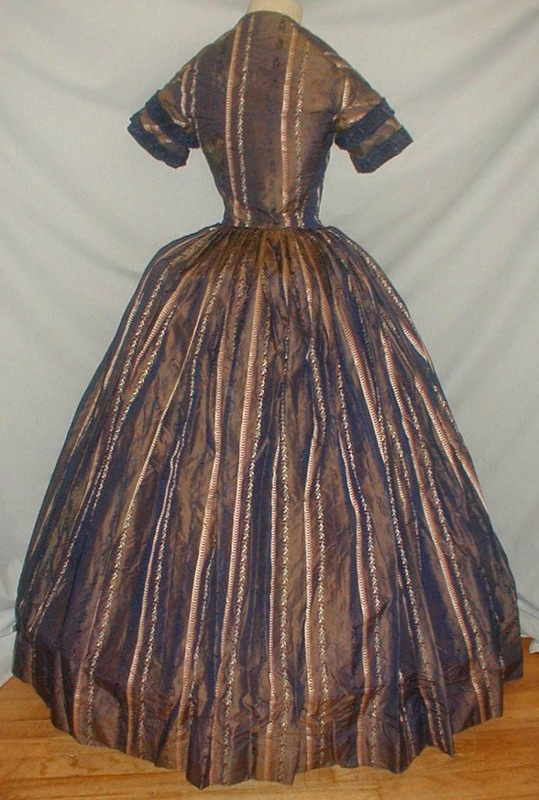 A magnificent 1850-1860 printed changeable silk dress. 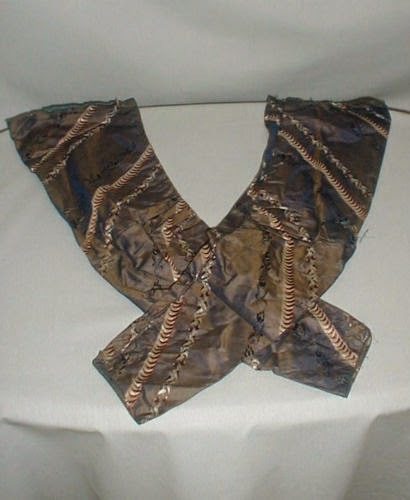 The fabric is a taupe color with a strong undertone of dark blue. The fabric has a white, rust and navy blue stripe pattern. The bodice has short cap sleeves that are trimmed with navy blue silk. The dress also comes with a set of extra sleeves. The neck, armscyes and waist are piped. The bodice is lined with cotton sand has a front hook and eye closure. The bodice front has navy blue silk decorative buttons. 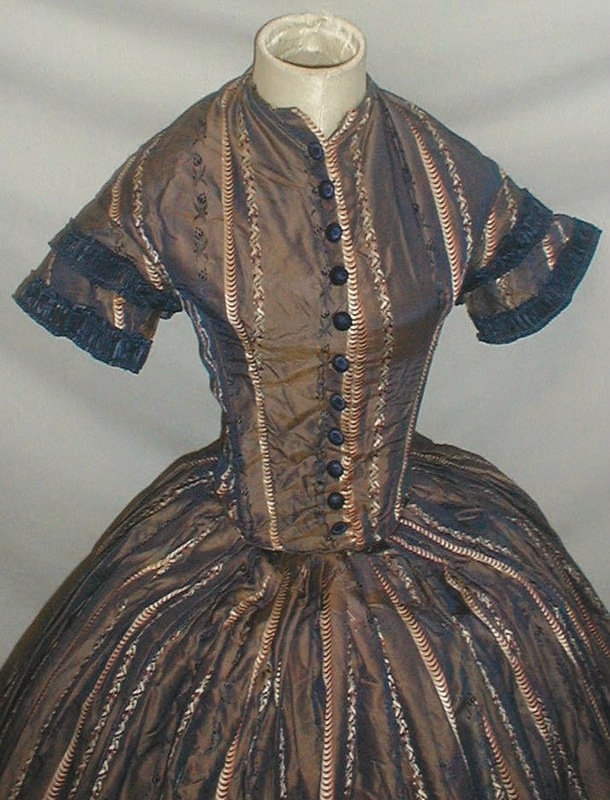 The full skirt is attached to the waist with cartridge pleating. The skirt is lined with cotton. The dress is in very good and sturdy condition. There are a couple of loose seams at the waist that will need minor re-stitching. There is some light underarm discoloration. There are no splits or holes in the fabric. There is a in inch L shaped tear on one the extra sleeves. A beautiful display dress. Bust 32 Waist 24 Skirt length 40 Width at hemline 154. 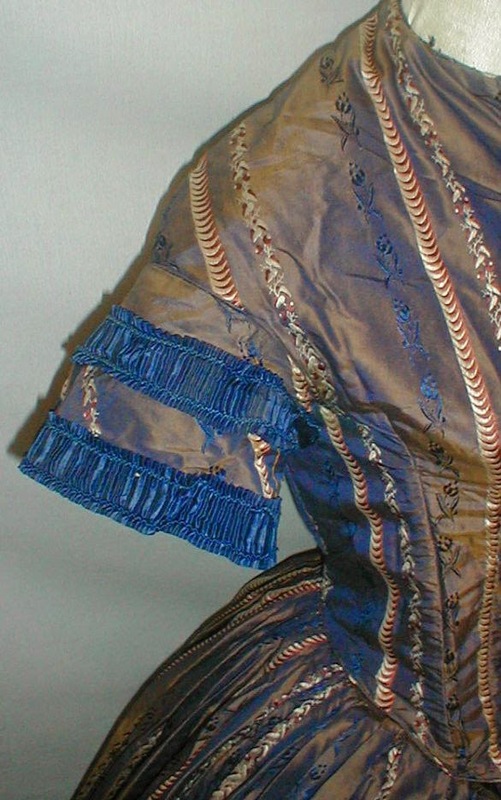 The slope of the shoulders, the very "long" look of the bodice both point to this being from the 1840's. 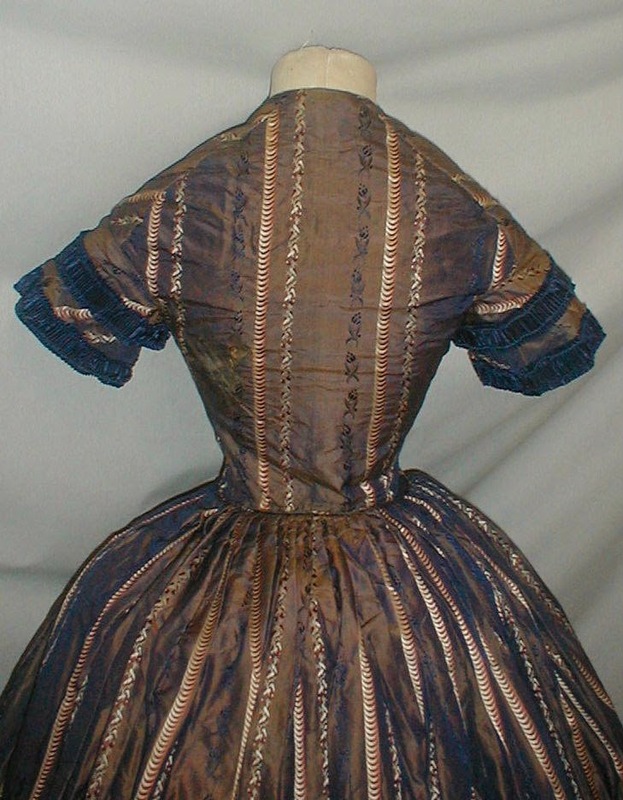 The lower edge of the bodice was probably cut off in the 1860's and the dress redesigned during the American Civil war.